iPhone 7/7 Plus Overheating Problem and Battery Drains - Easy Ways to Fix It! iPhone 7/7 Plus Gets Overheating and Battery Drains - How to Fix It? 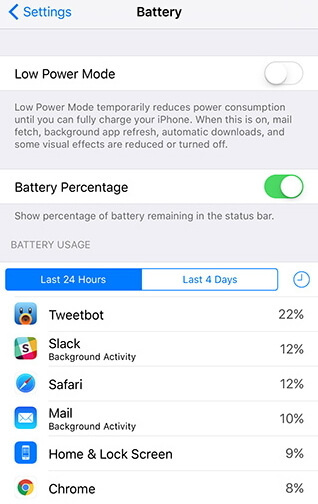 Recently, more and more iPhone 7/7 Plus users are complaining that their iPhone gets too hot and battery drains simultaneously. To state the obvious, you'll be greeted with a warning message, saying "iPhone needs to Cool down before you can use it. ", when it gets too hot. Here we are going to analyze the causes and offer efficient solutions to help prevent iPhone 7 and iPhone 7 Plus gets very hot. Part 1: Why is My iPhone 7/7 Plus Overheating? Part 2: Quick Solutions to Overheating on iPhone 7/7 Plus. Part 3: Root out iPhone 7/7 Plus Overheating and Battery Drains Issue Using Professional Tool. Playing too much music, games, etc. with it and using too many apps at the same time. Leaving GPS, Bluetooth or Wi-Fi for too long unnecessarily. Note: Because the iPhone 7/7 Plus processor is cataloging all your files, apps and photos as well as running whatever apps you have going on during your first couple of days, you might see some excess heat. Keep your iOS 10 devices away from heat. 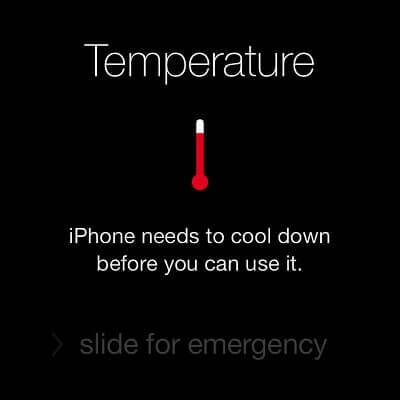 Avoid leaving your iPhone in the hot area, such as a car dashboard. Or it will absorb the heat there. Keep it cool in the shade. Do not try to put it in a refrigerator now matter how hot it is. Let it cool gradually. Stop charging and shut down iPhone. Stop charging right now if you iPhone heats up suddenly. 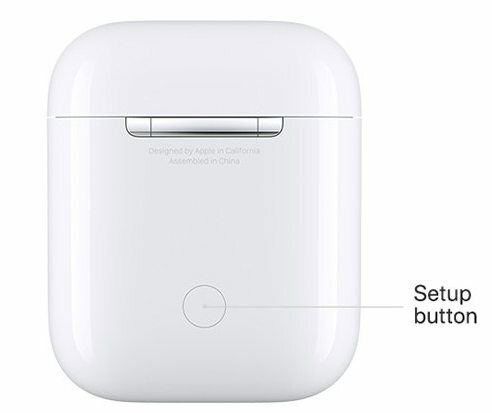 Check what happens after the charging, make sure to use the original adaptor. If necessary, turning off the phone would make it cool down quickly. Disable Personal Hotspot, Wi-Fi, and Location Services. The three services are great contributors for your iPhone overheating issues. Go to Settings>Personal Hotspot, tap the box to disable it. Tap WIFI icon and Bluetooth icon to turn off. Go to Settings>Privacy>Location Services to deactivate it. When you iPhone 7/7 Plus gets very hot, don't panic. You may need Tenorshare iCareFone, the professional tool to remedy the situation. Let's see how it helps you here. Fix overheating by cleaning your iOS device. Sometimes, the iPhone overheating problem is caused by too many junk files or temporary files that eat up storage and burden the CPU. So Tenorshare iCareFone is the right choice here. Step 1. Download Tenorshare iCareFone for free, launch it and connect with your iPhone. Step 2. Select " Speedup & Clean", click "Quick Scan". Step 3. Tap "Clean" button to finish removing junk files or temporary files. Terminate overheat by resolving stuck issues. Sometimes the overheat is closely related with iPhone stuck issues when updating iOS or an app. Tenorshare iCareFone enables you to get rid of iOS stuck effectively. Then select Exit Recovery Mode to finish. Note: Repairing iOS can help you get over the problem because it always comes with bug fixes, which may lead to the iPhone overheats. Read Top 3 iPhone System Repair Software: Fix iOS System Related Issues to learn more details. By now, does your iPhone gets really hot when playing games? If the quick solutions don't work, we suggest you to try the Tenorshare iCareFone, it is really, really powerful to work out iPhone 7/7 Plus overheating issues!